Ubisoft says that in spite of what we may think, the delay of the PC version of Splinter Cell: Conviction has nothing to do with its notorious new DRM system. 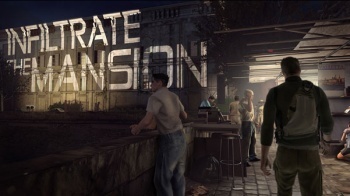 The new Splinter Cell: Conviction was originally slated for release on April 13 and if you're an Xbox 360 owner that still holds true, but Ubisoft revealed earlier this month that the PC version had been pushed back by two weeks and wouldn't hit the shelves until April 27. No explanation for the delay was given, which naturally led to suggestions that the company's new DRM scheme that requires gamers to be connected to the internet while they play, and has caused more than a few headaches since it debuted, might have something to do with it. Not so, the company said today. "The reason that has been given for the delay is that the extra time was needed to polish and debug the game," a Ubisoft spokesperson told Eurogamer. "The slip has not been linked to the DRM." Still polishing and debugging two weeks before a game is scheduled to be in stores? Call me a cynic if you will, but I'm not really seeing how that's much better than just admitting to wonky DRM. Two weeks isn't much and it'll be time well spent if it means a few less bumps in the road, but last-minute delays like this always leave me a bit nervous.